Whew! All I can say is thank goodness for a big thesaurus otherwise, I might never have come up with that greeting. If you already knew what the word paroxysm means, then I’m proud of you. If you’re like me and didn’t, and have to look it up even better :P because then we have both learned something today. I know being warlocks, we’re all a little standoff-ish and leery of sharing with others because we’re always vying to keep our edge and our Dark Art secrets. One of the goals of this webguide is to help our class talk about anything that’s warlock-y, and anything and everything that concerns warlockery. What is the Grief Cycle? Well, it’s not camping your enemy at their own graveyard. Even though that sounds like scrump-dilly-umptious fun, we tend to call that “winning” instead. No, the Grief Cycle I’m talking about is actually called: The Kübler-Ross Grief Cycle. It’s a pretty easy concept to grasp once you’ve seen and understand it. A long time ago, and this is a paraphrased true story, doctors became psychologically embarrassed by having terminally ill patients. If a person couldn’t be cured or fixed, it was like a badge of shame to the doctor. The doctors dealing with grief for their patients, often ignored or shunned those poor people and basically, they would wash their hands of them emotionally. Luckily, a doctor named Elizabeth Kübler-Ross pushed back on her fellow physicians so they would recognize this problem. Dr. Ross (I shortened her name because it’s a lot easier to type) had a lot of experience working with people who were dying, and so she wrote a famous book called ‘On Death and Dying’. In that book she talks about the emotional states we, as people, go through in a grieving process. It’s often referred to as simply The Grief Cycle. There are several versions of this theory, but I’m referring to Dr. Ross’ version because she was the first to write about it, and I try to always quote the original author. 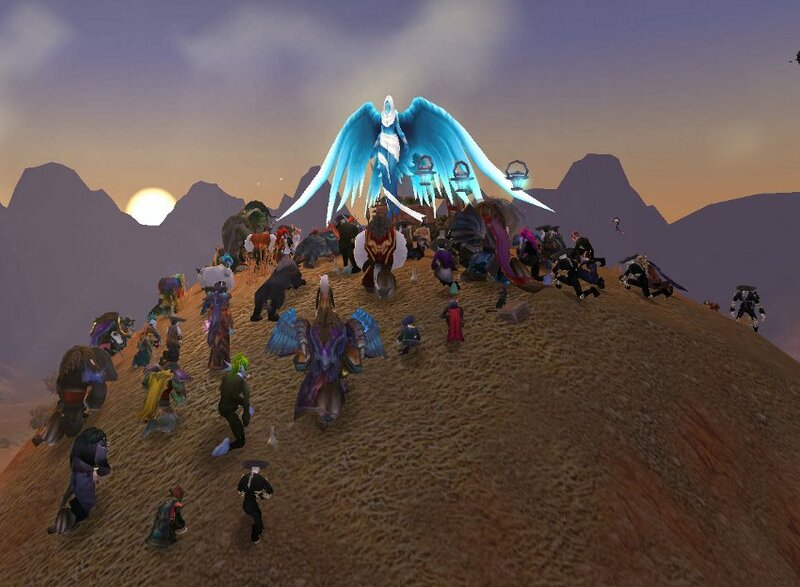 My guild getting ready to mourn the loss of a real life guildy with a ceremony in-game. I got there early and about 200 people showed up. It was amazing and inspiring! What in the heck does this real life “Grief Cycle Thingy” have to do with us warlocks? I’m glad you asked. 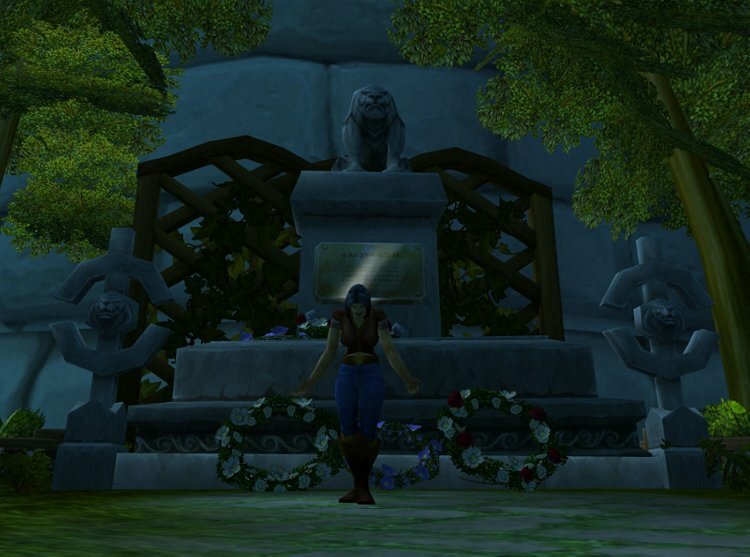 There has been a lot of talk about Cynwise and his great piece about The Decline and Fall of Warlocks in Cataclysm and with much pondering, I see ‘locks falling along the lines of this famous Grief Cycle as explained by Dr. Ross. Hopefully, you’ll see what I mean, but this time instead of calling it The Grief Cycle, we’re going to call it The Change Cycle . Use this chart to pinpoint behavior when adapting to any new grief or change. The emotional response line that resides vertically on the left side, points out how active we are at each of these cyclic stages. How long will a person suffer through each stage? Is it always the same? The answers to those two questions are: No idea and No. The length, time and severity of a person’s emotional state will vary from person to person. It will also depend on what kind of change we face. It could be something as painful as a death in the family, or it could be something as simple as it’s now raining outside when you were planning an outdoor event. Have you ever been to a funeral where some people were crying, some were laughing and some where just numb? The reason for this behavior? They were all at different points in their own Grief Cycle. Some people can sail through their grief or change quickly, some don’t. We just need to make sure we don’t get stuck in any one of the emotional states for too long because that can become a problem. Some people can suffer from depression, some can have anger issues, and some can stay in complete denial. Like controlling our demons, we have to recognize this and accept it in order to work our way through it, until finally our attitude and life return to normal. Here’s a famous memorial…recognize it? Now, let’s apply this to our wonderful warlock class. First, we began at the stable stage. We worked our little rump’s off and got our warlock to max level; we’ve probably maxed out our primary & secondary professions, and we’ve worked towards some end-game PvE, PvP, or rep grinds. At this point, we’ve invested ourselves into a large time commitment, and by now we become emotionally attached to our toons. Then wham! Something dramatic happens. Either the nerf-n-buff developers at Blizzard smack us, or a new expansion comes out and things are no longer the same anymore. Now, we’re thrust into an emotional run of the Change/Grief Cycle. At the Shock stage we are usually paralyzed in our emotions and we do little to act on it. Do you see the red line dipping down into the Emotional Response of passive here? Usually, after being shocked by a change or event our bodies and minds are processing how this will affect us. Then we enter the Denial stage. We’re not quite passive but then we’re not quite active with our emotional responses. I call this the “blah” stage. It’s when you’re not really sure how you feel yet, but are at the point of understanding how things have changed. From Denial we move to the Anger stage. Not anger like the trade trolls, but anger as in pushing back on the stimulus or change itself such as arguing, yelling, refusing to play or whatever. Think about what happens after a massive patch or update to the game. People go absolutely crazy. Then, we begin to settle down a bit and we begin to bargain in the Bargaining Stage. Here we look to ourselves and to others trying to find ways to avoid what’s changing. This could be posting in the forums, cancelling subscriptions etc., Then comes what they call the Depression stage. I like the term “realization stage” better because it’s here that the we truly realize what has happened. Hitting the depression/realization stage is a good thing. Trust me! Screaming to myself since the developers won’t listen! The depression/realization stage is when we hit rock bottom. We hit the lowest of lows, and it’s when we begin to turn it all around. Hrm, when you’re at the bottom there’s no place to go but up, right? It’s true. This stage is our wake-up call phase (btw, I’m listening to Maroon 5’s Call and Response: The Remix Album, and the Wake up Call remix version rocks!) So be glad you hit rock bottom, it’s a good thing and it should make you happy to know you’re there. Does that sound crazy or are you asking, “Why in the hell should we be happy that we hit rock bottom?” That’s a great question to ask! Once we hit rock bottom we’ve now reached the Testing stage. The Testing stage is when we work out the kinks, we begin to cope, and we take control. That is exactly what a good warlock should always do. We should size up the situation and take control of it to our advantage. Otherwise, it might just be the demons who are controlling you. Finally, we reach the Acceptance stage, and no this doesn’t mean we should start being nice to those annoying mages or tolerate dirty-rotten-backstabbing-rogues. When we reach the Acceptance stage it’s when we can say, “Veni, Vidi, Vici!” If you haven’t heard of that line it’s Julius Ceasar’s smack talk for, “I came, I saw, I conquered”. I love the sound of that famous line, but in truth I’m more of a follower of the of the Veni, Vidi, Vino version. Trust me when I tell you the Acceptance stage rocks! It’s when we take control of the situation and move on. Sing it with me everyone, “Weeeeee are the champ-ions, Weeeee are the champ-ions, Nooooo time for looosers ’cause weeee are the champ-ions…of the world!” I’m sorry for all the song references, but I’m listening to music as I type and yes, Queen rocks. Just like we, as warlocks do. Now we come to the place where I try to wrap it up and explain what all this means. As a class, we’ve been all over the emotional map. Understand that fact. Some ‘locks are still in shock, some are still angry and some are already at the acceptance stage. We’re like a confused mage who is halfway to a FP point only to realize he can port to where he is going, and not sure if he should logout or hang on for the ride. As a class, we’ve been up, down, nerf’d, buffed, most fun, least fun, OP, and sometimes fail; you name it and we’ve been there. We should all expect that the MoP Beta and the MoP expansion will be a huge change for us and will push us right back into the cycle. 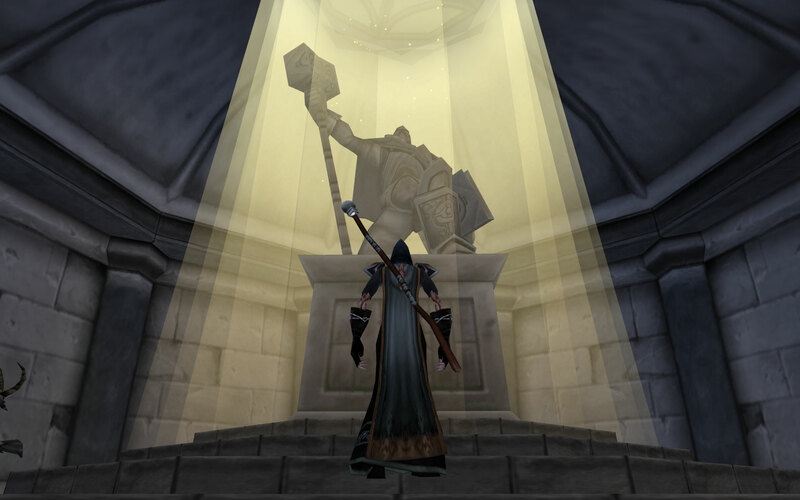 In order to help each other, I’m asking for you to submit anything you will miss about the “old” warlocks, things you are not sure if you would like, and anything you are looking forward to with the upcoming expansion. I’ve already put three of my own examples in each section, but I would love to hear from all of you! Warlocks use to run from me – AP> POM > PYRO = dead warlock. You might have mistaken who the person was you were chasing. 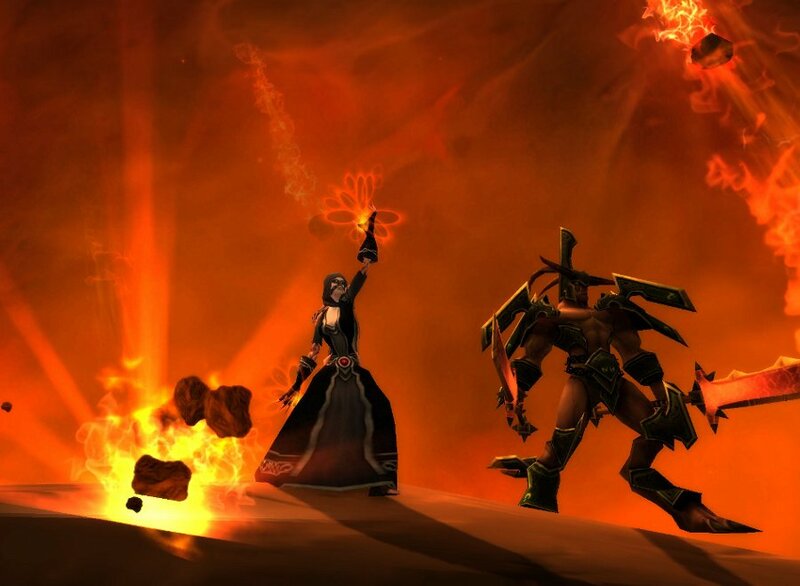 It sounds to me that it must have been a “mage-wanna-be-warlock” with their blink on gcd. A good ‘lock would have cast Fear, Death Coil or Howl of Terror on you, used demon portal to get distance on you, then popped a succubus to CC you as their DoTs slowly stole your poor little mage-y life away. Then they would have danced on your corpse. It’s okay though, your hatred is understandable. http://www.myprettypony.com I’ve never been there, but I hear they also have a lot of discussions about their vanity pets. I’m on the fence about Pandas as well, but the animations are great. 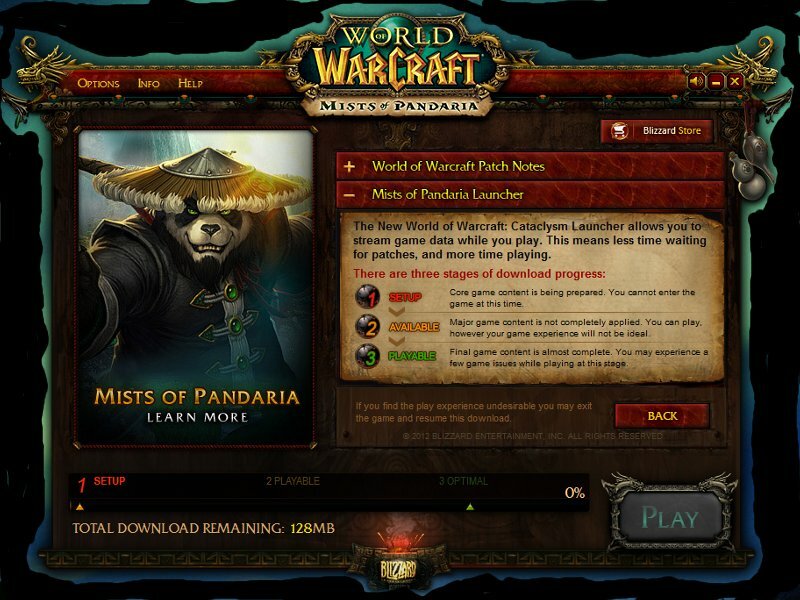 I’ sure we’ll see a grand rush of them on our servers after MoP hits, and then it will die down some. Kind of like when they introduced Belfs and Draeni or DKs. New pets. Particularly that my felpup would have to get replaced with a floating eye. More quick-hitting spells. The good part about not relying on a cast nuke (and having a channeled spell instead) is that we get some ticks right away. Might help with trash, who knows. – My weapon as a buff slot. At least in the beta I played, you could only carry a weapon OR a wand. – going back to Affliction because of the shard rainbow. – All the warlocks that are going start playing again because we FINALLY got 5 new minions. – Playing Demo and having imps pop off me like I am a wet Mogwai. – Having a talent tree that only use is for situations, not regular game play. I agree on the weapon/wand slot. I don’t mind the wands like some, I just wish they actually made them worth using. Maybe somewhere along the lines of Fel-Flame; an instant cast with a little bit of punch. Yeah, the shard rainbow thing? Ugh, please don’t get me started…and they made them pink! OMG! They have done so many cool new animations and someone actually thought those looked good? Really, really? I loved the comment about the imps and a wet Mogwai. Hrm, if only my imps could sing like one too during down time? Mass looting does rock and it’s hard to go from Beta to live not having it. I have mixed feelings about the floating crystals. Not sure I want people’s souls orbiting my head, they might decide to seek revenge by biting my ears or something equally pathetic yet annoying. I am however looking forward to the glyph of nightmares. 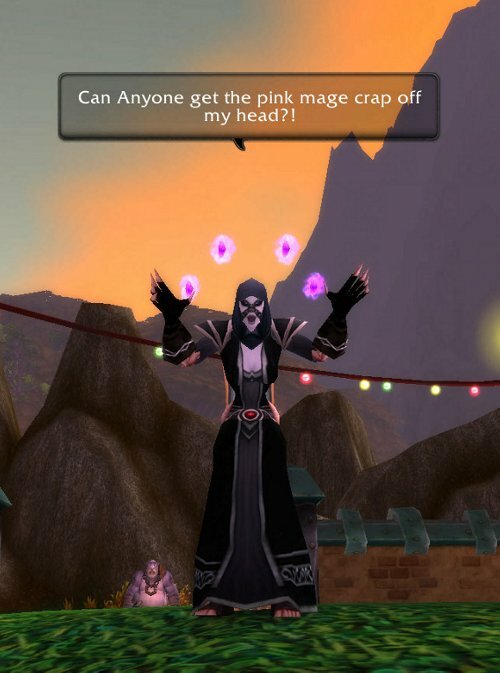 (http://mop.wowhead.com/item=42457). I’m also looking forward to stopping abandoning warlocks all over the place. At the last count I have one at 62 (first ever character), one at 80, one at 21 (work in progress), one at 70 (bloodelf), one at 46 and one at 38 (gnome).